Doctors who do a procedure best are generally the ones who do it most. They get the most referrals from other doctors, who see good results, and from satisfied patients. Also, constant practice makes these specialists even better. This page shows you how to find any procedure you need and the doctors who do it most (also therapists, nurse practitioners, midwives, physician assistants, etc). You can do this on a small mobile screen, but a large screen will be easier, and finding the best doctors is important enough to go find a large screen if you can. A doctor may have told you what procedures to consider, or a list of symptoms may have guided you, and for $20 you can also access for a week the huge trove of information at UpToDate, which has the most detail on all medical options. List the procedures you want to consult specialists for. After it opens, click "Enable editing" at the top, if it asks. In the filter menu, unclick "Select All" or click "Clear"
Many operations are risky, with over 1% chance of death, so they need careful thought whether the risk is worth it. Here is a list created in 2015, based on operations from 2001-2006. It does not show risks of each individual surgeon or hospital, just national risk for each type of operation. On the right side of the full dataset, you can click "Filter," and "Add a new filter condition." The first choice shown is "National Provider Identifier." Click the triangle between "Identifier" and "is." Slide 2/3 of the way down the list until you can click "HCPCS code." Click both the small square box on the next line, then the longer box and put the code you found above. If you have another code, you can put it on the next line. You can leave other lines blank, or select state(s), cities, etc. Click the "Apply" button if any, or press Enter. You will see a list of specialists. There may be a slider underneath their names, near the bottom of the window. Drag this slider or the window itself 2/3 of the way to the right, until you see a column titled "Number of Services." Now the most experienced doctors are at the top, and their names and addresses are on the far left. The "Manage" button lets you hide any columns you don't need. On the laptop/desktop version, you can narrow each column by dragging its top right edge ( ║ ) to the left, or drag the column itself by holding its top left corner. I haven't found a way to rearrange the columns on a tablet or phone. On the right of the Number of Services, you can also see the average amount Medicare allowed for each procedure, and the average charge each doctor submitted for the procedure. Most insurance pays somewhere between the two, and people without insurance need to bargain for themselves. These costs do not include fees of the hospital, anesthesiologist, etc, which you can research separately. If you see surprisingly low costs, you may be seeing a physician assistant or assistant surgeon who assisted the main surgeon. After you select procedure(s) and state(s), a button at the top right lets you Export the data to Excel on your own computer. You'll need to sort it again on your computer. ​If you want, you can group these records and get totals or averages: Above the "Filter" commands, you can click "Sort & Roll-Up." For example if you click "Roll-Ups" and "Group By" National Provider Identifier, Last Name, First Name, and City, you will get a list of doctors and their cities. (Listing all these means they will all be shown on your output file, even though the groupings mostly duplicate each other.) Below the "Group By" items, you can click Roll-Up for "Number of Services" with Function "Sum" to get the total for the various HCPCS codes you selected, and Roll-Up "Medicare Allowed Amount" with Function "Average" to get a simple average price. More sophisticated work can be done after you Export the data to Excel on your computer. You can also find the most experienced hospitals. Usually several experienced doctors practice there, and can learn from each other. Before you choose any of these specialists, you'll want to learn about other ways to treat the problem (you can subscribe to UpToDate for a week; it has the most detail on medical options), and you'll want to see reviews of the doctors by patients and other doctors, as discussed on the rest of this page. If more and more referring doctors and patients search for high-volume specialists, then larger numbers of doctors will be able to get highly experienced in their specialties. Researchers use the analogy of choosing a restaurant in a strange city: most people will choose a busy restaurant over an empty one, and most people prefer a doctor who does a procedure every day, rather than once a month. When other doctors see bad results after referring a patient to a specialist, they stop referring to that specialist, so the less successful ones get fewer patients. Thus they cover most shocks that flesh is heir to, but they don't reflect other years, treatment of younger people, or Medicare HMOs. Patients can ask doctors' offices how much they treat younger people or HMOs, so that they may have experience beyond what these files show. Occasionally a provider code covers several doctors, and it always covers the residents and fellows training under the named doctor, if any. The doctor's website usually says if a doctor teaches, or patients can ask the doctor's office. HealthGrades offers an easier, approximate, way to find experienced surgeons for 6 surgeries: Hysterectomy, Bariatric Surgery, Pacemaker Procedures, Hip Replacement, Total Knee Replacement, Coronary Artery Bypass Graft. Their risk calculator shows the nearest hospitals with low rates of death and complications, and highly experienced doctors in these procedures at those hospitals. They also list many other procedures, conditions, and symptoms, and offer experienced doctors. Their definition of highly experienced is a mix of high volume on the procedure you need along with total volume for all procedures. They name all the conditions and procedures each doctor has experience with, but not how much volume s/he has on each. You can find that above. EHealthScores shows amount of experience for each doctor, but their data are old, and you cannot search by amount of experience. As of January 2017, they still used 2012 Medicare data, while 2015 data are available above. Expensive consultants also find experienced doctors. Barrons says that PinnacleCare identifies top doctors, and one of the most important pieces of information they give is "your exact procedure and how many the doctor had actually performed in the past year." The number of patients doesn't show the best primary care doctors, since all of them handle many office visits. Another page helps you choose primary care doctors by the length of appointments they offer, and whether they can treat you in a hospital or nursing home when needed, as well as in an office, to give you continuity of care. Dr Kussin's book (Dr, Your Patient Will See You Now suggests almost always getting a 2nd opinion, and getting it from another specialty (p. 184). He also recommends using foreign doctors, since it took brains to cross all the hurdles to practice in the US (p. 135), and he suggests using doctors who trained at top hospitals, since it took brains to get in (p. 131). A study of bypass operations showed no difference in death rates between doctors trained at top hospitals and others (Hartz et al), but brains are also important in deciding who needs an operation. Doctors who refer many patients to a particular specialist may have their staff check the specialists in some of the ways listed here, and even compile fact sheets, but staff may not have time to check all specialists. Recommendations from patients tell if a doctor speaks clearly and listens, as well as giving early warning of problems. Dr Leana Wen, Baltimore's Commissioner of Health, and Dr Joshua Kosowsky of Harvard say doctors need to communicate well with patients to get information for a good diagnosis. "Choose someone who makes time to listen to you and answer your questions... and who engages you in a discussion of your diagnosis. By the same token, watch out for doctors who display signs of impatience, intolerance, condescension, or inflexibility" (p. 211). Wen's and Kosowsky's book goes on to describe in detail how patients need to prepare before seeing a doctor. Patients can see how the doctor's overall Medicare practice compares to other doctors in the same specialty and state (ProPublica's site). For example a knee specialist does more knee repairs and orders more knee X-rays than an average orthopedic surgeon. The same information on each doctor is in the Medicare file in STEP B above, without comparisons to specialty+state averages. Prescription drugs which each doctor orders most often, can give patients another insight into the doctor's practice ("Prescriber Checkup"). Patients can get independent information on those drugs. Medicare shows affiliations to hospitals and medical groups, languages, phone numbers and addresses of each location of a doctor. For that search you need to know the doctor's zip code or city and state; another file allows a national search by name only. Research papers by each doctor are usually listed at pubmed.gov and Google Scholar. A more controversial source is Sci-Hub, which stores millions of papers and accesses others as needed. It uses login codes from anonymous academics who have free access. These searches work best for doctors with uncommon last names, since pubmed often has only initials of first names. For common last names, a less complete source is Doximity. You can put doctor name site:doximity.com in your favorite search engine. Doximity also shows multiple state licenses and certifications. To find the top researchers and papers in a field, look at STEP D below. Disciplinary actions are few, but you can use DocFinder's free search of 17 states, and links to the other state boards. Some states only divulge current suspensions, not past suspensions. DocInfo has a national search and another list of state medical boards. There is a lag before state data are posted in the central files. The same searches verify if a doctor's license is up to date. Legal cases are discussed in another article with rich information from Pacer for federal courts, and also a list of hospital suspensions and malpractice suits, which the public may not yet see. Half of all doctors have been sued for malpractice; 96% of the cases gain money for the plaintiff. Some people want to know success rates of individual doctors, but success rates are controversial, since they encourage doctors to avoid risky patients, have unreliably small samples, and are hard to find anyway. Data on doctors' quality are still limited, but the data provided here on doctors' volume are helpful in the absence of direct quality data. As quoted at the beginning of the article, researchers in the field recommend choosing high-volume doctors when possible. The first steps are always to consider what care is needed, what the alternatives are, and what questions to type out for the specialist. Dr Kussin's book (Dr, Your Patient Will See You Now) says that patients as well as doctors need to subscribe to UpToDate (UTD) when they face a major health issue. UTD costs $20 for a week or $45/month. UpToDate summarizes (and addresses weaknesses in) many published studies. If one of the studies is especially relevant, an author may be available for an appointment. You may find free copies of published studies through Google Scholar, or in the library of a university, hospital, or big city. A more controversial source is Sci-Hub, which stores millions of papers and accesses others as needed. It uses login codes from anonymous academics who have free access. Besides UpToDate, patients can read other respected, though less detailed, sites like NIH, Johns Hopkins and Mayo Clinic, and websites of high-volume doctors throughout the country. For example the highest-volume knee replacement surgeon shows exercises on his website which patients need before and after treatment. As many say, exercises after surgery are a "race against scar tissue." Reading many websites can be overwhelming; UpToDate usually has the best synthesis. All these sources give patients ideas for questions which they can type out and ask at a specialist appointment. Questions to ask when making an appointment include whether the doctor is a professor, working with interns and residents. Pros and cons are discussed below in "Professors," and most patients have a preference one way or the other. Another question is whether patients must sign any agreement limiting their right to comment on internet sites; if so internet reviews are not reliable for that doctor. Patients may want the opinion of a low-volume doctor as well as a high-volume doctor on whether they need a procedure. If they decide to go ahead, patients may want a higher-volume doctor to do the procedure. You can use the data to find doctors in your region who do a procedure more or less than average. A patient who wants to avoid a hysterectomy or prostate surgery will want names of surgeons who do a few of them, rather than many, and go to those for advice. The independence of the second doctor is important, since hospitals and Accountable Care Organizations (ACOs) have been absorbing most practices, so that doctors refer within the group. Lists of doctors who are independent of the major health systems are at: aid-us.org/directory, Idaho, Georgia, New York City, Minneapolis-St. Paul, south Charlotte. Some groups with "independent" in the name are ACOs with incentives to refer to each other. Insurers also pay incentives to doctors to meet financial goals. Dr Kussin says to get a 2nd opinion from another specialty. He gives the examples of asking a neurologist or rheumatologist for a 2nd opinion on orthopedics, and a gastroenterologist for a 2nd opinion on "gallbladder, pancreatic, esophageal, and intestinal surgery" (p.184). He also says to take your records with you, so you know the 2nd doctor has a complete file. X-ray and MRI centers will give you a CD while you wait, often free. Patients can ask their insurance if it will cover a reasonable number of initial appointments with different doctors, so they can explore all the options. Some doctors gain high volume without being good, by advertising heavily or by pushing extra procedures. A companion article reviews some of those situations and how patients can protect themselves. Patients need to keep their wits about them, but don't need to fear all high-volume doctors. The first protection is a 2nd opinion. Another protection, mentioned above, is to get that opinion from a doctor who does the proposed procedures less often. A 3rd protection is that consumer reviews often give early warnings. Consumer Reports lists 10 overused procedures and 12 overused surgeries. 63 medical societies have released their own lists, with an overall search window. Patients need to be careful before accepting one of these procedures. Careful research is crucial, because 60% of male doctors and 67% of female doctors do not necessarily tell patients when another doctor is substandard (they fear retaliation). 9% of doctors do not tell patients about mistakes which have harmed them. Payments which doctors get from major medical companies (Medicare's site) and drug companies (ProPublica's site) show which doctors have strong bonds with the companies. It is not surprising when high-volume doctors receive payments from companies for various purposes. Patients need to decide if these affect their care. Another page discusses how drug companies give biased information to doctors. The sites do not reveal profits from doctors' own businesses. Consumer Reports says that when a doctor orders X-rays or other scans, "ask whether he is financially affiliated with" the radiology clinic, since "studies have found that physicians who own scanners or are part owners of radiology clinics use imaging substantially more than others." All these cautions show the need for careful checking, whether one uses local or distant doctors. Primary care doctors rarely have time for such checking, except in the specialties they refer to most. Patient checking may give the best results and save substantial time in treatment and recovery. Results are also better in the morning. doing a good job on emergencies and other cases where patients do not select their doctor, to develop a reputation. Professors often appear in the lists of high-volume doctors, since all patient care they supervise counts as theirs, even when treatment was done by interns and residents. Many people want to be treated by medical school professors, to get cutting edge researchers and freshly trained residents. Other people worry about residents practicing on them, and surgical professors who are out of practice since residents do most of their operations. Two reports describe residents doing most of the cutting and stitching when they are in the operating room. Dr Gawande when he was a resident wrote that "to say I just assisted remains a kind of subterfuge... I hold the knife... I stand on the operator's side of the table... raised to my six-feet-plus height... Given the stakes, who in their right mind would agree to be practiced upon?" (pp. 22, 30). A doctor said about his own child's birth, "We didn't even allow residents in the room" (p. 31) There is other research on the dangers of undertrained doctors, both young and old, and the benefits of learning on simulators instead of people. A study of surgeries in Veterans Administration hospitals reported "We believe in the majority of open repairs, that the resident was on the side of the hernia, and presumably was the person making the cut and putting the stitches in" (p. 352). The VA hernia study found more recurrences after open operations done by interns and 2nd year residents (6.4% recurrence), than by 4th year or older residents (1.1%). 3rd year residents were in the middle at 3.0%. Recurrences in laparoscopic hernia repairs were about 11%, regardless of the resident's year. "Only when the attending surgeon and the resident are highly experienced in laparoscopic repair techniques, are recurrence rates for laparoscopic repairs reduced" (p. 882). A study of bypass procedures found that patients of medical school professors had the worst death rates, and explained it may have been "because more of their operations are performed by residents or fellows" (p. 93). Surgery at teaching hospitals usually involves residents. Patients who value a teaching hospital appreciate the presence of the professor directing the work, even if a resident does the cutting. Patients who doubt the residents may need to go elsewhere, though they can ask if the professor will operate without a resident, and cross out words allowing residents or substitute surgeons from the consent form. When residents examine a patient in an office or hospital, the patient can ask the main "attending" doctor to do the exam, but the main doctor may prefer to depend on residents. For office consultations, residents and fellows are often present, but patients can focus on the main doctor's questions and decisions. A test of 159 medical students from medical schools in 37 states, at a conference, found that only 1 did all 11 steps of a correct blood pressure reading. The average was 4.1 out of 11. They comment we would never let a pilot or lab skip steps in guidelines, so if blood pressure matters to us, we cannot let nurses skip steps on blood pressure either. Incorrect arm placement raises blood pressure 10 or more. The steps are on pages 28-29 of A Report of the American College of Cardiology/American Heart Association Task Force on Clinical Practice Guidelines. Guidelines include testing both arms, no exercise, caffeine, or smoking for 30 minutes, empty bladder, sitting without talking for 5 minutes and during both tests. Later tests can use the arm which had higher pressure. 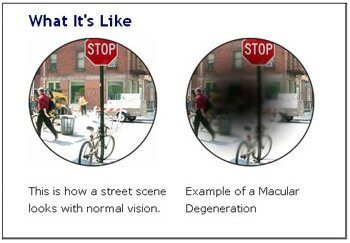 Regular eye exams miss a fraction of early Age-Related Macular Degeneration (AMD). AMD is the leading cause of irreversible vision impairment in older adults in the United States. It blocks the central retina, so you can't see facial expressions or read. Vitamins and other treatments are available to slow its progression when it is caught early. A 2017 study in Alabama found that AMD was present (mostly early stage) but not diagnosed in a quarter of people over 60 who got a regular vision exam from an optometrist or ophthalmologist. 8% of the total undiagnosed people over 60 had intermediate AMD, which is treatable with vitamins. The researchers used digital fundus photography and an expert reviewer to retest 644 patients. For comparison, nationally only 3.4% of people over 60 have been diagnosed with AMD. If the Alabama results hold up nationally with other researchers, then 27% of patients have AMD. Therefore people over 60, where AMD becomes more common, may want to get eye exams from optometrists and ophthalmologists who are particularly familiar with AMD. Aetna and Medicare cover fundus photos (code 92250) after diagnosis of certain eye problems, not just for screening Other insurers are probably similar. Doctors who take fundus photos are familiar with reading them, and may be able to take and interpret them without a diagnosis if the patient pays the cost of $100 or so. 21,000 doctors did it in 2014 on 3 million patients. They billed an average of $118, and Medicare paid $76. Patients can find experienced doctors locally by clicking the filter button on the Medicare file above to add filters for "HCPCS code" 92250, and for "Zip Code" "starts with" (can use first 2 or 3 digits of a zip code to get areas near you). It may still be valuable to ask these doctors' offices what fraction of their older patients have been diagnosed with AMD, since the important issue is diligent reading of the image, which will result in higher than average diagnosis rates. However my experience is office does not know what fraction of patients have AMD. Most people would rather get a diagnosis and start vitamins, than miss the diagnosis and lose vision sooner. A parallel is that doctors who provide colonoscopies track what fraction of their screening colonoscopies find adenomas (tumors), and patients can ask doctors what their rates are. "Professional societies recommend adenoma detection rates of 15% or higher for female patients and 25% or higher for male patients as indicators of adequate colonoscopy quality..."
Avastin/bevacizumab, prescribed off-label 11 or more times by each of 7 ophthalmologists, costing $500-650 per patient per year. Visudyne/verteporfin, code J3396 was injected by 61 doctors in 2014 and 76 in 2013, costing $1,500-2,700 per patient per year. Laser photocoagulation, code G0186, was done by 4 doctors in 2013 and none in 2014. VisionCare offers an implantable telescope for severe AMD vision loss, code 0308T. Only 1 doctor billed Medicare for that code more than 10 times in 2013 (and was paid $434/patient). None did in 2014. Experts have written about Shouldice Hospital in Toronto, which does more hernia surgeries than anywhere else. Hernias are one of the most common operations by general surgeons. Harvard's Dr Atul Gawande writes that for hernia operations done elsewhere, "In anywhere from 10 to 15 percent of the cases, the operation eventually fails, and the hernia returns... At Shouldice... Their recurrence rate is an astonishing 1 percent... the dozen surgeons at Shouldice do hernia operations and nothing else. Each surgeon repairs between six hundred and eight hundred hernias a year - more than most general surgeons do in a lifetime... With repetition, a lot of mental functioning becomes automatic and effortless... A surgeon for whom most situations have automatic solutions has a distinct advantage... Even the hospital building is specially designed for hernia patients" (pp. 38-9). On hernias, UpToDate ($20 for a week) describes a range of options, including Shouldice and "watchful waiting." UpToDate may be the best place to find the full range of options on any disease. Ralph Nader writes that "Shouldice's Director Daryl J.B. Urquhart makes a strong case for small, specialized hospitals that can deliver all-around superior outcomes." A patient at Shouldice told me that his wife wants to specialize in breast surgery, as the Shouldice doctors specialize in hernias. She has enough patients, but other surgeons at her hospital resist, since they want her to share on-call duties with the other general surgeons. She hasn't been able to specialize, but elsewhere some surgeons do specialize in breast surgery and perform 100 or so per year. Patients and referring doctors can find them in the data files described at the top of this page. Your correspondent has used both Shouldice and Wilmer, which is an equally specialized eye clinic in Baltimore (the only place in Maryland with a doctor on the AMD list described above). He can attest their quality as well as the confidence gained by going where doctors have as much experience as anywhere.